Objectives: Infertility is a stressful condition influencing interpersonal and social relationships among infertile couples. Various strategies have been suggested for coping with infertility. This study examined the effect of the collaborative infertility counseling model on coping strategies in infertile women undergoing in vitro fertilization (IVF) in an urban area of Iran. 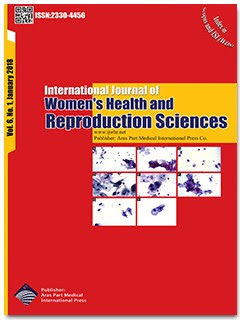 Materials and Methods: This clinical controlled trial was conducted on 60 women with primary infertility selected from Milad Infertility Center in Mashhad, Iran. They were randomly allocated to the intervention and control groups with 29 and 31 samples in each group. The intervention group received individual counseling based on the collaborative reproductive healthcare model. The counseling was provided with the collaboration of a midwife, a gynecologist and a clinical psychologist in 5 sessions during a 2-month period. The control group received only routine care. The fertility problem inventory (FPI) and general health questionnaire were used to measure perceived fertility-related stress and general health, respectively. Moreover, the ways of coping-revised questionnaire was used to collect data regarding the women’s coping strategies at the beginning of the study and at the day of the embryo transfer. The student t test, Fisher exact test, Mann-Whitney U test and analysis of variance (ANOVA) were used for data analysis. Results: A statistically significant difference was reported between the two groups in terms of problem-focused coping strategies (P = 0.037). However, no statistically significant difference was reported between the groups with regard to emotion-focused coping strategies (P = 0.947). There were statistically significant differences between the 2 groups in the mean scores of seeking social support (P = 0.022) and planful problem-solving strategies (P = 0.045) as the subscales of problem-focused coping strategies. Conclusion: The collaborative reproductive healthcare model promoted the use of problem-focused coping strategies. Therefore, the use of collaborative counseling approaches by healthcare professionals is suggested for assisting infertile women to cope with infertility.